Skin tightening is a non-surgical, minimally invasive process that uses Skintyte, a broadband light source, to make skin smoother and tighter. It works by using light energy to heat the collagen far below the surface of the skin, reaching its deepest layer and causing it to contract, or tighten. You’ll be able to see and feel your facial skin tightening right after your first session, and you’ll be able to show off, because there is no downtime. You will also see more skin tightening happen in the treated areas over the next several months, but it takes 2 to 3 treatments spaced about a month apart for the very best results. The Skintyte skin tightening procedure sends heat to the skin’s deepest layer, the dermis. The non-invasive broadband light (BBL) gently heats this deep skin layer, triggering a gradual healing response in your own skin—with no downtime. This process stimulates your skin, causing it to produce firm, new collagen. Wrinkles, fine lines, and droopy skin retreat as your skin’s own source of collagen is activated sufficiently with enough treatment. Skintyte is head and shoulders above other skin tightening procedures. All kinds of patients may benefit from the Skintyte skin treatment. 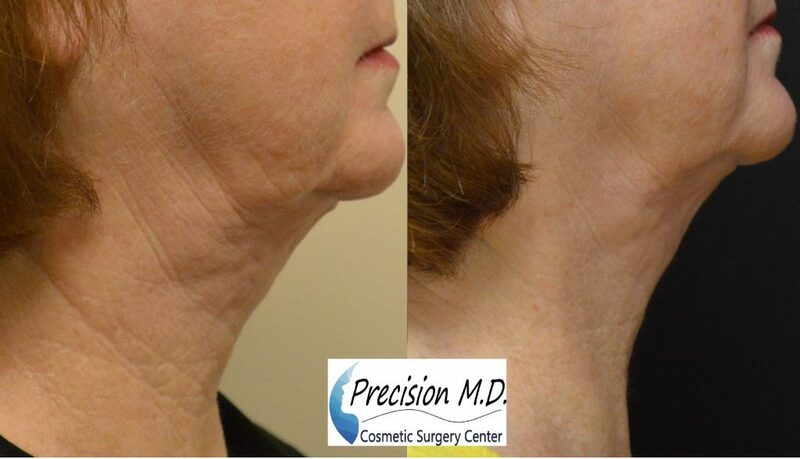 If fine lines are your target issue, skin tightening procedures are an effective means for smoothing many lines away. Skin tightening procedures can even help your skin in unexpected ways—like targeting discoloration of your skin or acne scarring—as it triggers the skin to make more collagen and heal itself. The biggest variable is the individual patient’s skin and medical history, so the first step is certainly an individual consultation with a cosmetic surgeon experienced with the process. How Does the Skintyte treatment Compare to Other Skin Tightening Procedures? The benefits of this minimally-invasive skin tightening procedure are numerous, which is why patients may want to consider Skintyte instead of other skin tightening procedures. Skintyte works well on all skin types, whereas laser skin tightening procedures are only effective on some skin types. Skintyte is also superior to procedures like Exilis, which require 4 to 6 treatments for noticeable results compared to noticeable results after a single Skintyte treatment. Consider the impact of Skintyte wrinkle removal on the face. This is much different than the aftermath of deeper chemical peels, and traditional face lift procedures are major surgeries. In contrast, BBL skin tightening involves nothing more than minimal discomfort and little or no downtime. How Does BBL Skin Tightening Work? The Skintyte BBL device heats up the collagen proteins to specific temperatures, producing a reaction in your skin, one that’s all natural, and causes your collagen to thicken and contract. Its pulsing light technology is quick and pain-free, and your skin will also be cooled back down to keep you even more comfortable. As the light causes collagen in the deepest layer of the skin to denature and contract, tighter, smoother skin is the result. Along with the immediate collagen contraction you get from Skintyte treatments, you can also expect longer-term results. This is because even after the collagen in the skin has thickened, the skin itself responds to the disruption of the collagen fibers by starting a more robust healing process. This in turn means your skin is producing new collagen at a much quicker rate, and tightening itself. The procedure works anywhere on the body, but is most commonly used on the face, abdomen, arms, décolleté, hands, and legs. The treatment intervals of about a month are typically set for a series of 4 to 6 Skintyte treatment sessions. 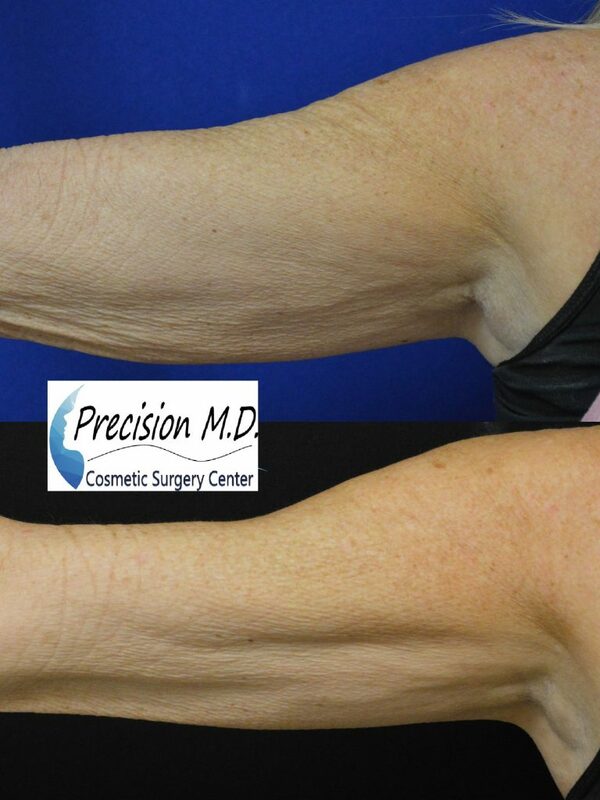 At Precision MD Cosmetic Surgery Center, skin tightening procedures are our specialty. We have helped people throughout the Sacramento area face the world without sun-damaged skin or loose, sagging jawlines. Contact us to see if Skintyte skin tightening is right for you!